Mangaluru, October 15, 2016: Sumith S. Rao whose ‘Open Letter to the Prime Minister’ became a social media sensation last year was today elected as the Chairman of Industry Cell of Dakshina Kannada District BJP during the District Working Committee meeting held at Hotel Lalith, Surathkal. The meeting was attended by eminent party leaders like sitting MP Sri Nalin Kumar Kateel, MLC Capt. Ganesh Karnik, former state minister Sri Krishna Palemar and former MLA Sri Yogesh Bhat. Sumith Rao’s article ‘Why I Won’t Waive My Gas Subsidy’ – An Open Letter to the Prime Minister which was published in Mangalore Today Magazine last year went viral and became a nationwide sensation, reaching over a million readers and is still in circulation. It in fact invited a lot of criticism from BJP circles and Modi Bhakth community due to the letter’s stinging criticism of politicians. Hence it is surprising the same party has elevated him to this post. Or is it an attempt to win him over? This is the speculation that is now doing the rounds. Sumith S. Rao was also elected as the President of District Supply and Marketing Society (DSMS), a semi government organization based at Yeyyadi Industrial Area few days back. Sumith S. Rao is the Proprietor & CEO, Olympus Refrigeration Inc., Yeyyadi Industrial Area, Yeyyadi, Mangalore. 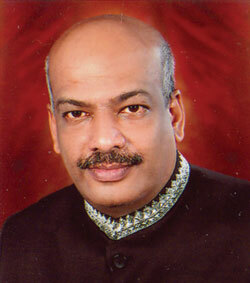 Born on 16 April 1964, he is the son of late K. S. Rao and Usha S. Rao. He is an alumni of St. Aloysius School and College and studied Mechanical Engineering at Manipal Institute of Technology (MIT). He is a Former President of DK District Small Industries Association, Mangalore, Rotary Club Mangalore Metro and Winners Club Toastmasters.